Is it Autumn yet? Lol jk. But really, if summer is going to behave like this then I’m SO over it. I’m not a massive fan of summer clothing and I’m not massively into the 70s trend which has dominated pretty much everything. So I’m kinda ready for the new season offerings. I actually really love Autumn, I would even say it’s probably my favourite season. Anyway let’s track back as it’s only July and I’m jumping the gun a bit here. I’m not sure why it’s taken me so long to get into denim culottes. I’m a big culottes fan just hadn’t dipped my toe in the denim arena. I’ve got these Topshop babes on the way so I’m hoping they will fit and my love affair with the culotte will continue to blossom. As you can see, kinda liking wrap blouses right now. I realised that I really lack in the tops department of my wardrobe, as I always lean towards jackets so it’s an area that needs work. 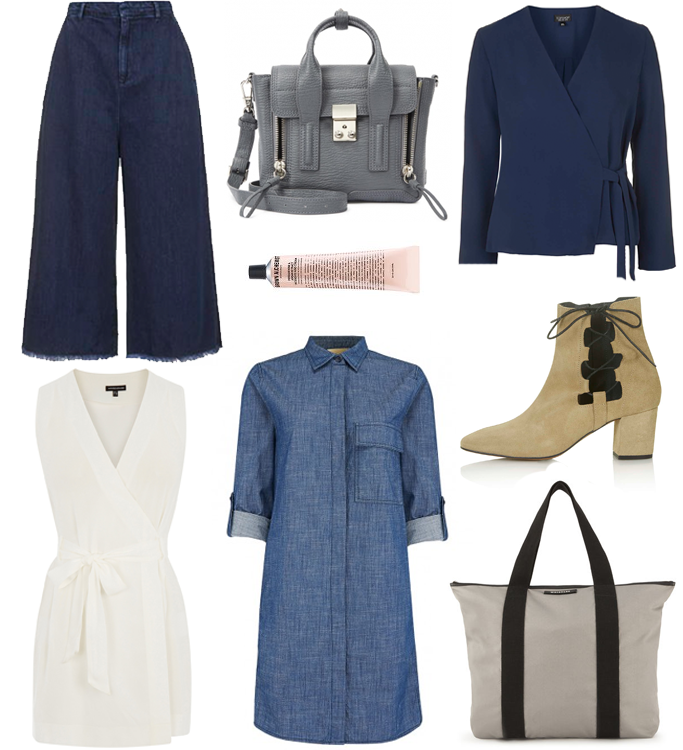 Also loving the Atterley denim dress, I might buy it in time for my hols as it will be an easy throw on piece. Speaking of which definitely need the Whistles bag for my travels! Except I don’t I just really freakin’ want it. Whats on your wishlist at the mo?